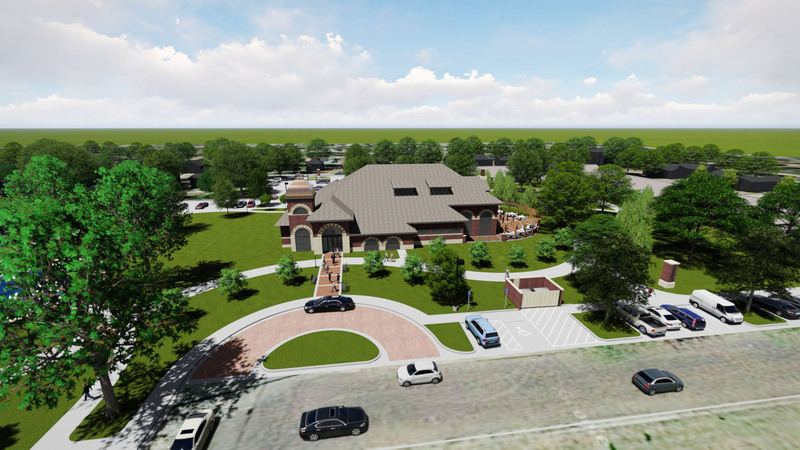 LK Architecture was retained by Arkansas City to provide master planning services for Wilson Park. Originally built in the 1920’s, Wilson Park has served the public for decades, but the city wanted to upgrade the park for future generations. With the demolition of the old hospital, the city desired to expand the existing park to the north, vacating an existing street to provide a contiguous park twice the original size. Through a series of stakeholder meetings with the steering committee, LK explored several park layouts based on those amenities and activies identified by the stakeholders. 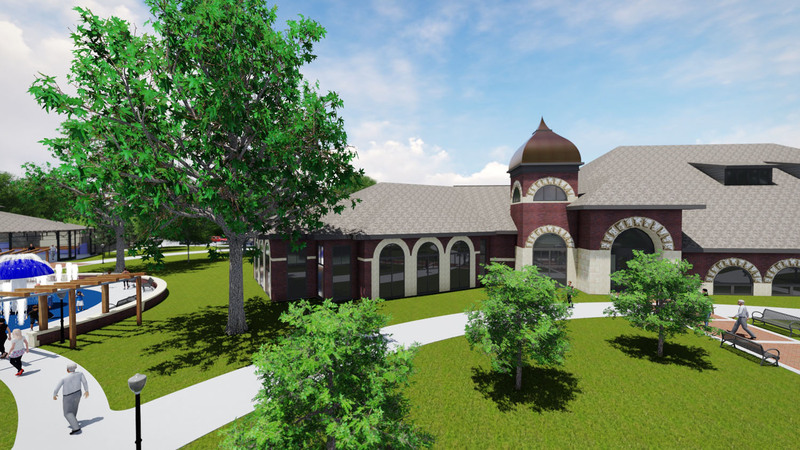 LK also completed preliminary programming and schematic design for a new event center and library to be located on the expanded park property. 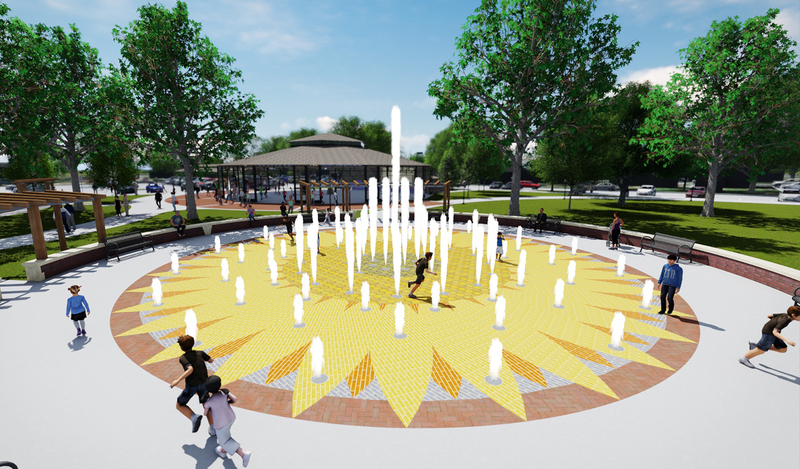 During the master planning process, it became evident that a portion of the property may be marketed for adjacent private development, which could be used to help offset costs for the park expansion. 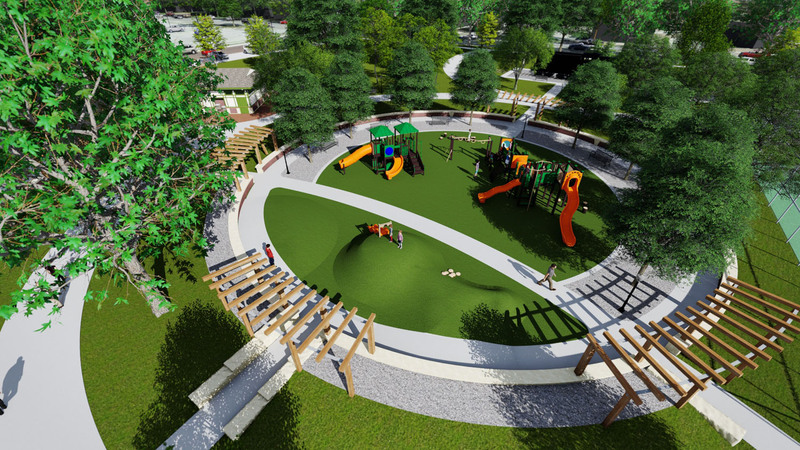 An added benefit to the park having residential development adjacent to the property includes safety and park security. 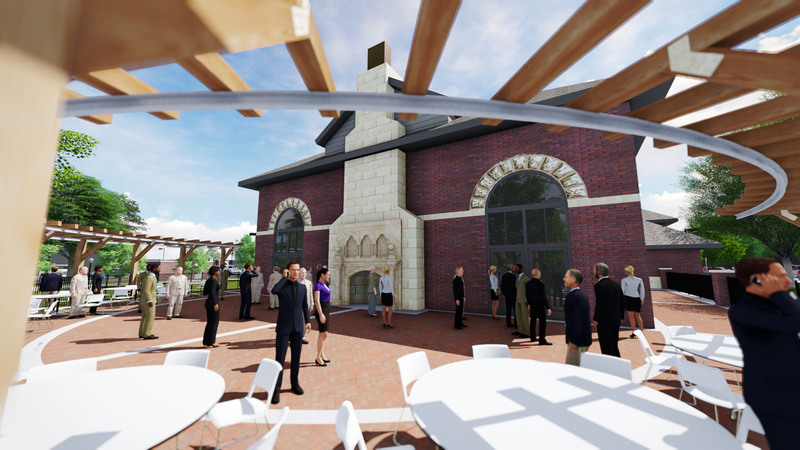 The final master plan made use of the historic rotunda, proposing to infill it with glass and glass roll up doors to extend the functionality and duration. To the south of the rotunda, a new farmer’s market area was designed with overhead structure which doubles as a parking lot. 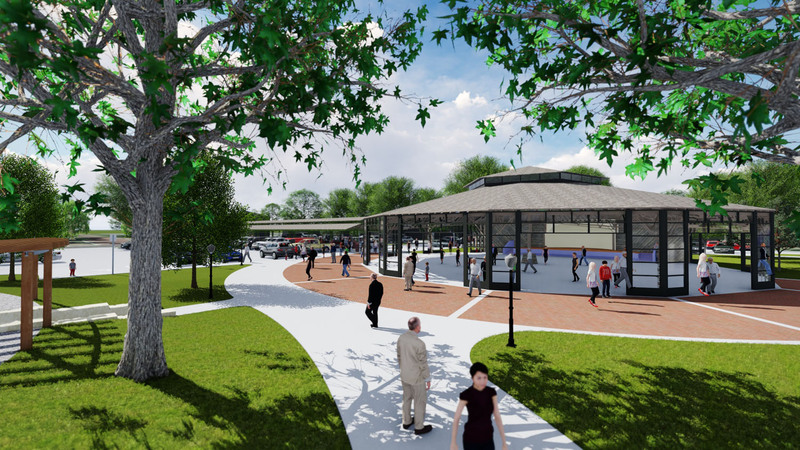 Additionally, two existing tennis courts were retained along with the steam engine which give the park it’s second name in the community as “The Train Park.” A new playground and spray park are arranged in the center of the park with new restroom facilities centrally located for convienience for all park users. Overall, the park’s design theme is based on the railroad. 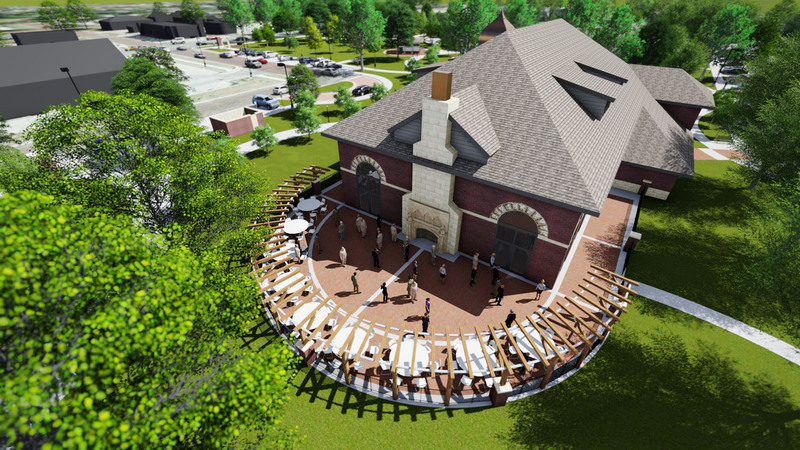 The new event center/library is remincient of the historic Arkansas City depot which has long since been demolished. 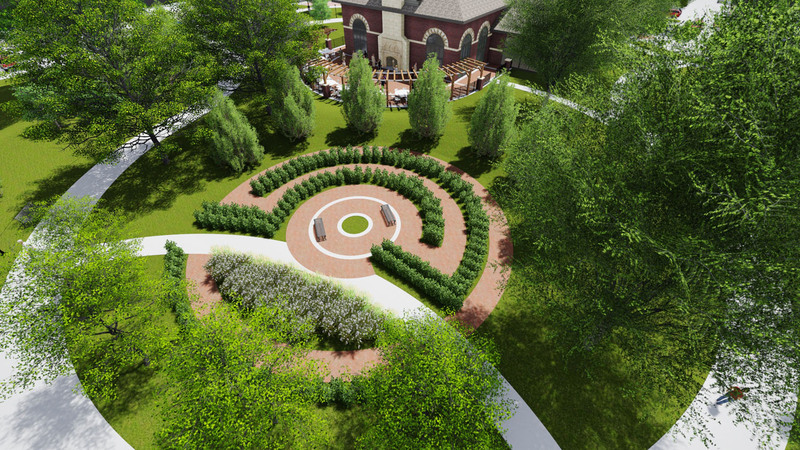 New park signage and amenities were selected to coincide with the park’s history and a trellis design evokes the character of railroad tracks. New lighting was proposed throughout the park, along with wide pathways, which can accomodate both pedestrians and bicycles.